When I was a child, growing up in a small Nova Scotia fishing village, oranges were a special treat. We called them Florida sunshine. One was always included in our Christmas stocking and I remember Mom using them to make marmalade in February. 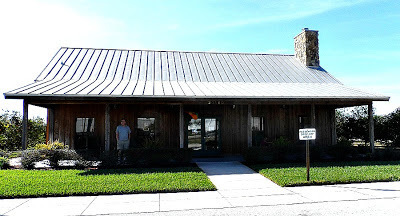 Avon Park, FL, where we spent a month, is situated in the centre of Florida's citrus growing area. 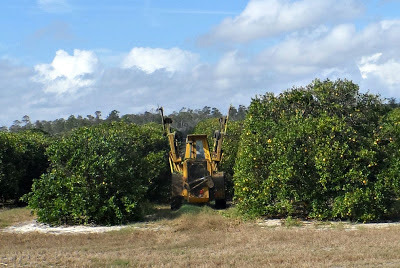 There are thousands and thousands of acres of citrus trees growing along what is called "the Ridge" or "Florida's Spine". This area, also called The Highlands, is around 200 feet above sea level and the land on either side slopes down to the Atlantic Ocean to the east and the Gulf of Mexico to the west. 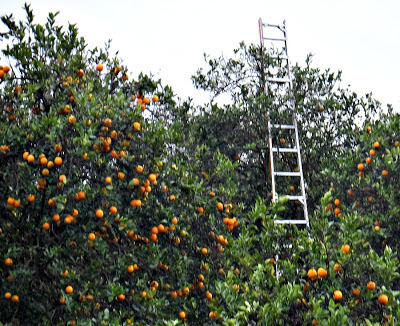 The groves are readily accessible from the roads and before the harvest ripe oranges lay at the base of each tree. 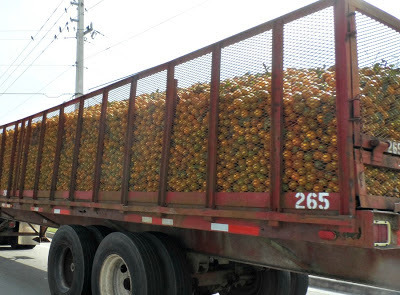 Apparently these are gathered as juice oranges and it is against the law for passers-by to pick them up. A stiff fine is involved so no one does. We were anxious to learn more about citrus fruit growing and production so off we went to spend some time there. It turns out that this is a grower-owned cooperative called Florida's Natural. 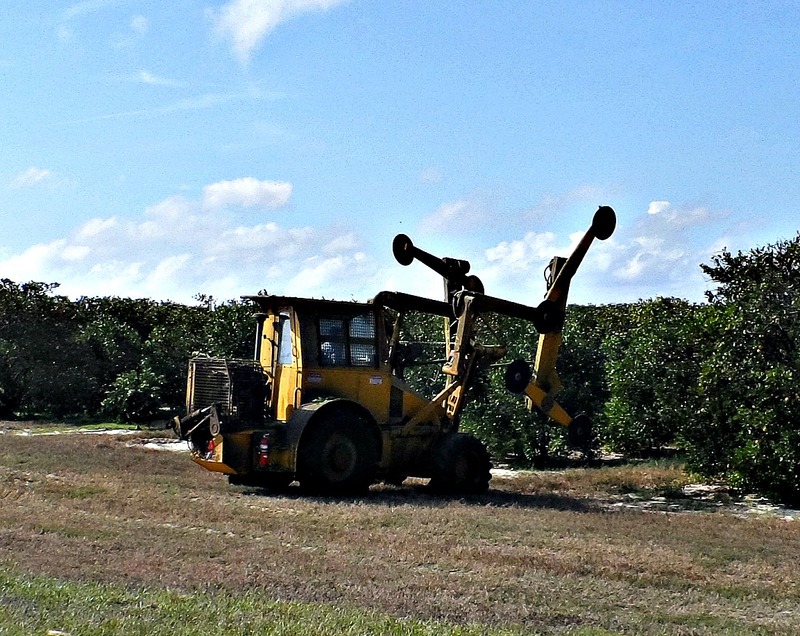 The co-op has 1000 grower members who own more than 50,000 acres of citrus groves in Central Florida. 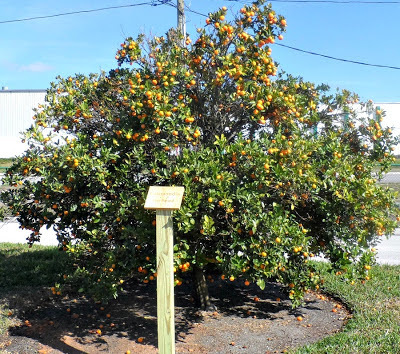 Inside excellent displays and a movie told us the story of citrus production in Florida. 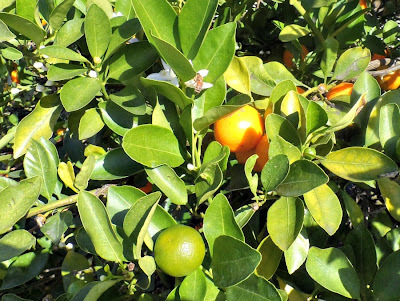 Did you know that the first citrus seeds were brought to Florida by Ponce de Leon in the early 1500's. 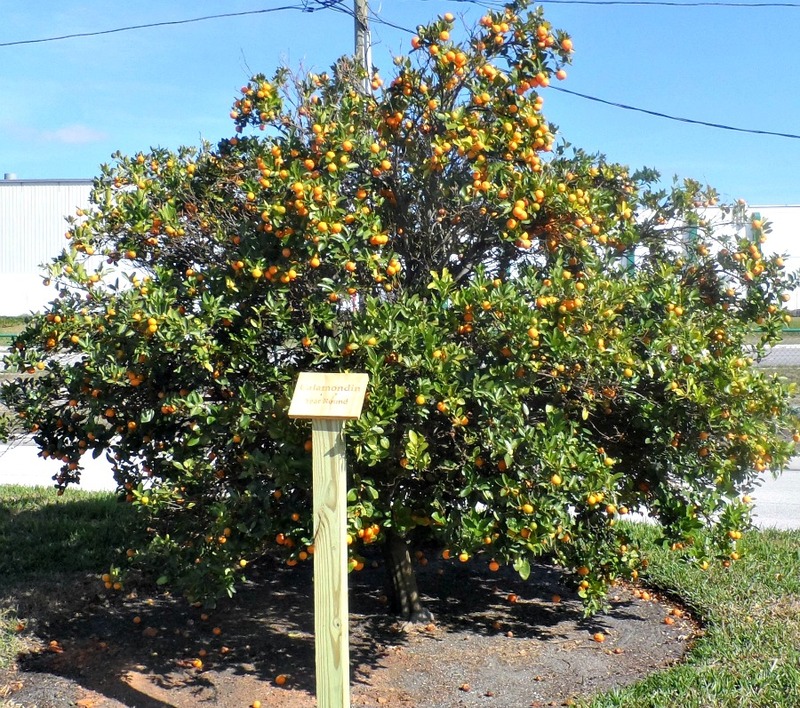 It took about 15 years for trees grown from those seeds to produce fruit. Today, a the small tree started from a seed is grafted with branches from a mature tree and will produce fruit in three years. Blossoms, green fruit and ripe fruit all appear on the tree at the same time. 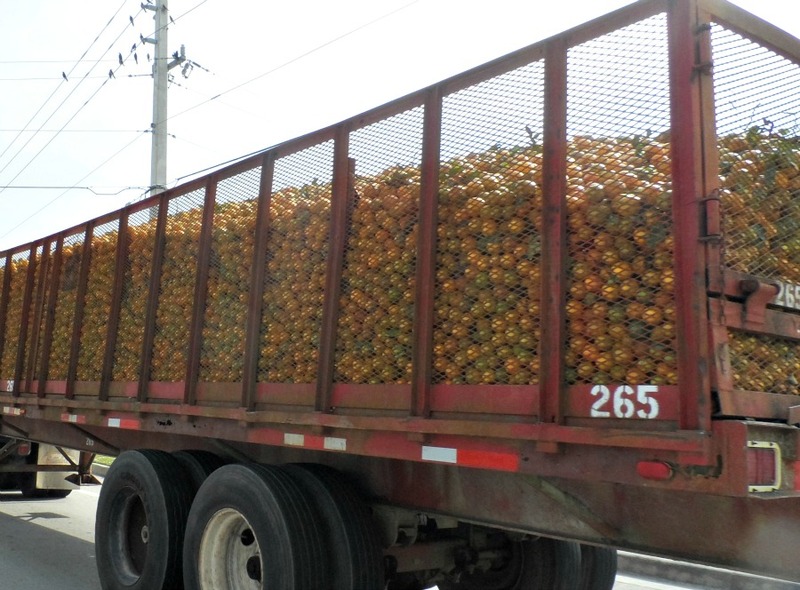 Additionally, the fruit must be ripe when picked. 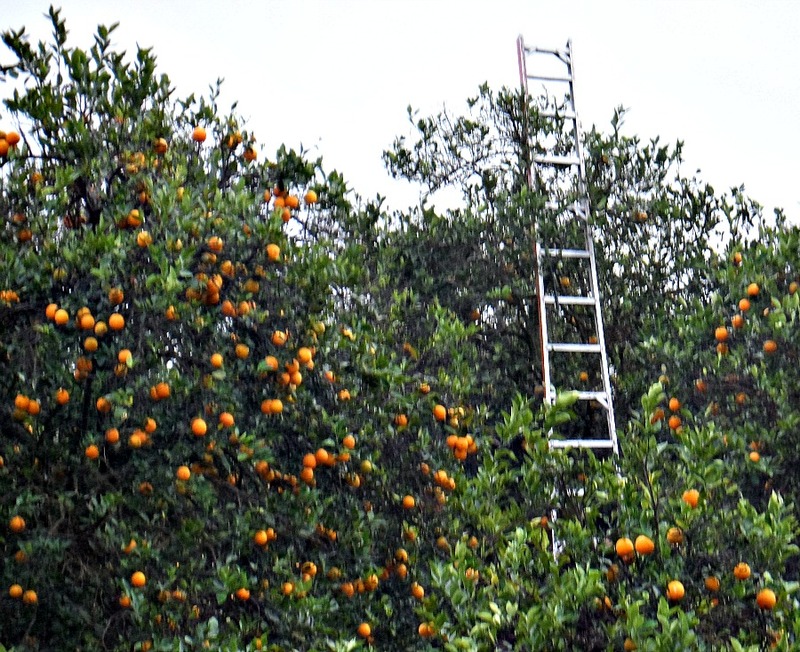 This means that each orange must be picked by hand by people climbing ladders with large bags strapped around their shoulders. We were disappointed that there were no orchards close to Avon Park open for us to tour so all the orchard pictures above were captured along the highways, whenever we spotted some action. The fellow driving the tree trimmer above actually backed up when he saw us pull over, so I could get a picture. We are now in Moore Haven, the heart of sugar cane growing country and I understand that there is a tour we can take to learn about this Florida industry. 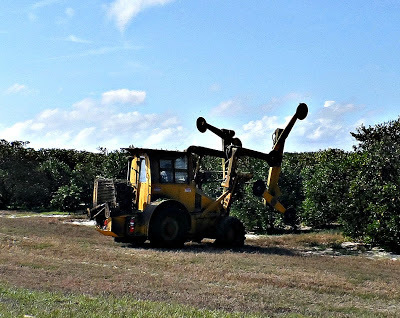 We did not know that Florida grew sugar cane so are looking forward to that. Cane Grinding Festival is in Ortona this Saturday. We are thinking of going. Care to join us? I enjoy drives through that area. I call it hill country. A Visit to "Cracker Country"